Type 2 diabetes is the most common form of diabetes, worsening over time (if untreated) as the body develops insulin resistance. While individuals with type 1 diabetes (usually diagnosed in childhood) do not make insulin, people with type 2 diabetes either do not make enough insulin or do not use the insulin properly, causing glucose build-up in the blood which can have damaging effects on the body. According to the American Diabetes Association, as of its last study in 2012, 29.1 million Americans (9.3% of the population) had diabetes, a 1% increase from 2010 . This infographic, as well as the ADA’s site, is a good starting point for learning more about diabetes. Below you will find some of our favorite diabetes-related calculators, as you start to assess your risk for diabetes and initiate conversations with your doctor. As with all other web resources, none of these are to replace a consultation with your doctor. 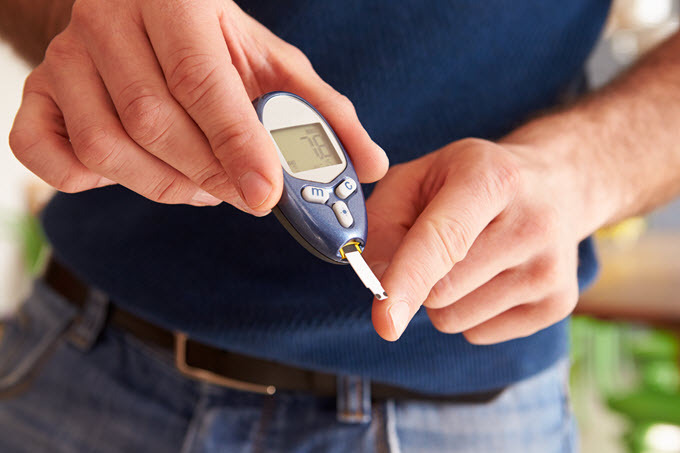 Are You at Risk for Adult-Onset Diabetes? Available in a printable paper version as well (great for bringing to less tech-savvy loved ones), this 7-question quiz helps introduce some of the key risk factors for diabetes and give an estimate of the likelihood of developing this disease. This test evaluates age-, gender-, and weight- appropriate risk factors to determine your likelihood for developing diabetes. Based on unique data collected from thousands of doctors in the UK as part of the QDScore data published in the British Medical Journal, this calculator collects basic demographic and lifestyle data and calculates the likelihood of developing diabetes. Acknowledging that different races are predisposed for diabetes in different ways, this calculator factors in race (Caucasian or African-American) and age (45 to 64 years) to estimate the likelihood of a non-diabetic individual developing diabetes in the next nine years. This tool is particularly helpful as it comes with a fact sheet and detailed exploration of all risk factors; the quiz results identify the risk factors most urgent for you, as well as personalized tips on how to overcome them and prevent diabetes. This calculator uses certain blood measurements in conjunction with demographic and lifestyle details to calculate the risk of developing diabetes mellitus in the next 8 years. This risk calculator is for individuals already diagnosed with type 2 diabetes; input basic demographic and vital measurements to obtain a risk estimate for mortality due to diabetes complications in the next two years, and therefore understand the severity of your diabetes diagnosis. Obesity is one of the most significant risk factors for type 2 diabetes. This tool helps calculate how much weight you need to lose, and how much your risk for developing diabetes will be reduced as a consequence. This simple calculator helps convert units on blood glucose levels between the US mg/dl to the British mmol/l. This is another simple calculator, converting between glycated hemoglobin (HbA1c, which gives a three-month average glucose level) and estimated average glucose, for further elaboration of blood glucose control. Contrast glycated hemoglobin to direct measurement of blood glucose levels, which is more like a blood glucose snapshot. This tool converts glycated hemoglobin (HbA1c) levels to average plasma glucose levels and average whole blood glucose levels. This calculator converts between whole-blood and plasma blood glucose levels. This calculator explains the meaning of and helps you look up and calculate the glycemic index and glycemic load of the food you eat, so that you can manage your blood glucose levels. Metabolic syndrome is the result of a convergence of risk factors that predispose individuals for heart disease, stroke, and type 2 diabetes. This calculator helps you identify your risk for metabolic syndrome, so that you can make informed decisions to appropriately tackle any risk factors present in your life. Diabetes has recently been identified as a potential risk factor for developing glaucoma. Though you will likely need to discuss this test with your doctor (and it requires data from very specific tests), use this calculator as a starting point for both discussion of as well as learning about your risk for glaucoma. Type 2 diabetes can also lead to retinal damage; this tool underscores the importance of reducing blood sugar levels to reduce likelihood of retinopathy.